Earlier today, some people may have experienced Facebook resending older messages. The issue, caused by software updates, has been fully resolved. We’re sorry for any inconvenience. 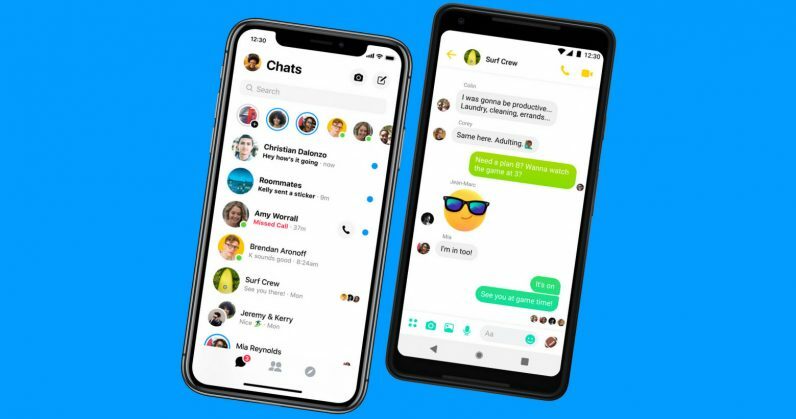 Facebook’s Messenger service is acting up in the weirdest way for some users: it’s resurfacing conversations from the past automatically, with some chat threads dating back years, reports The Verge. The bug causes old conversations to show up in the Messenger tab on Facebook’s site, and they look just like new unread chats. The company told The Verge that it’s looking into resolving the issue as soon as possible. Facebook better hurry before it spooks or upsets users: one person who complained about the bug on Twitter noted that the resurfaced messages were from their partner, who’d passed away some time ago. Hopefully, the social network will be able to fix what looks like a minor bug before it affects many more people. We’ve contacted Facebook to learn more and will update this post if there’s a response.